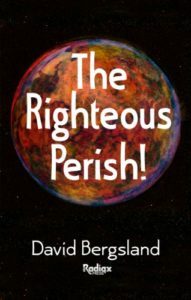 It has dawned on me that some of you may not know David Bergsland writes fiction in addition to his popular technical book production and font design books and the not so popular Biblical non-fiction. 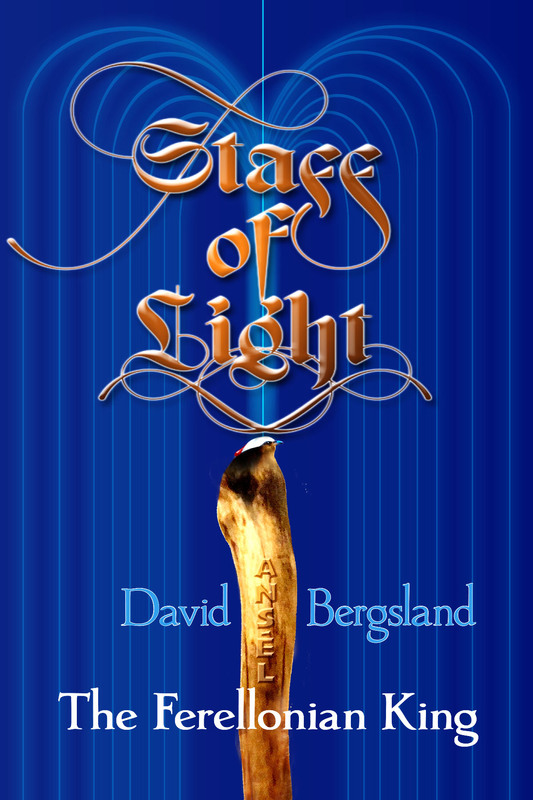 Book One of his epic fantasy will be released by Easter 2019. His technothriller was released in the spring of 2017. The end-times thriller was released late in 2012. 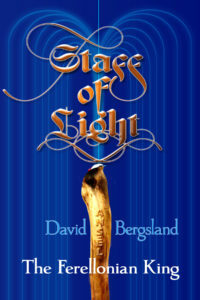 Book 1: Staff of Light Joen’s young life has had trouble. He watched Shield warriors trash his father’s cabinetmaking workshop. His mother is raped and killed at the market in his hearing by church warriors. His youthful actions are responsible for killing his father. The entire kingdom of Ferrelär is in upheaval. Then he hears Lord Ansél has amazing plans for him. This all takes place in a strange, yet familiar world—where the people live and work under the thumbs of royalty, the rich, and the Anselan church. The tale focuses on the lives of a strange group of people called the Known by themselves—who are almost totally unknown in society at large. However, the Primate of the traditional church knowns them hates them and is trying to kill all of them before they spoil his plans. 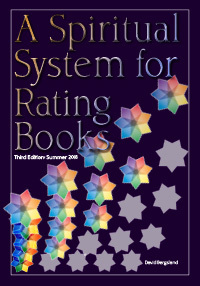 This is actually the first book I started. As I recall, this took place sometime in the late 1980s or early 1990s. I didn’t know enough to get serious until a couple of years ago. The idea is a fantasy series depicting that modern American fantasy of people who actually talk with God on a daily basis—not talking at Him making demands. But, talking with Him, having discussions, receiving direct guidance. In this day and age, that concept is much easier to share in fiction—especially fantasy, where the magical, spiritually power things are a normal part of the genre. The series is the tale of a young artist and a young princess coming of age—with great things to do and a definite calling on their lives. It takes place on a fictional world within a Kingdom being racked by representative urges, weak kings, evil kings, and eventually a Godly king. 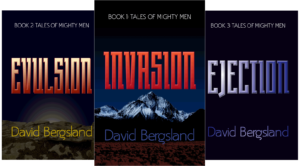 From Book 1: From New Mexico, the land of enchantment, and its history of mighty men, a modern tale of conflict develops. Deborah “Stones” Jackson at the ripe, old age of 31 had thought she was done with the covert life. The gut shot during the op in Eastern Afghanistan, compounded by the care of the Jalalabad hospital, had nearly killed her. Ralph, her boss at Black Sail in Maryland, had finally gotten her to Germany for emergency care. Then he sent her back to New Mexico to recover. She wasn’t sure she’d be going back. But a calling rarely lets up, and Stones was meant for combat. The new foe was devious, coming up from Chihuahua, with support in surprising places. She’d never been faced with traitorous Americans, amazing wealth, and the sheer nastiness of an oppressed people demanding freedom. Cut off from the East with no resources, Deborah discovers that God has a plan for her which she never could have dreamed—far beyond her wildest imaginations. She’d have to deal with her mother, who was a legendary assassin?! Even for those of us escaping in the rapture, it will be pretty rough before the end. This tries to give a more realistic look at that time. Here begins a tale of wonder as the plans of the Lord are revealed to a church which had not considered the wisdom and complexity of God’s love for us. We are asked to open our hearts and minds to accept the very real possibility that Jesus meant what He said by telling us that no one knows the day nor the hour. All we need to do is remember how the religious of the day missed it when Jesus came to the manger. In fact, as you know, few figured it out until after He had risen back to be with the Father. It may look outrageous, but it’s possible! We must be open to the very real possibility that we really do not know how it’s going to happen. We only know that the King is coming soon!